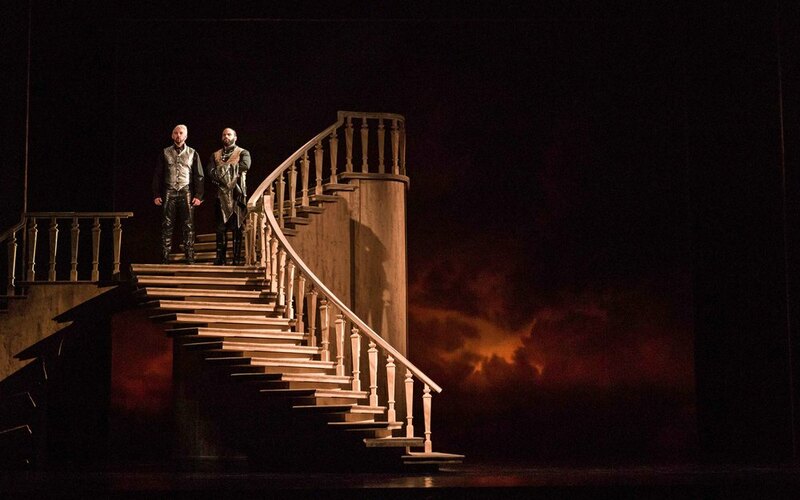 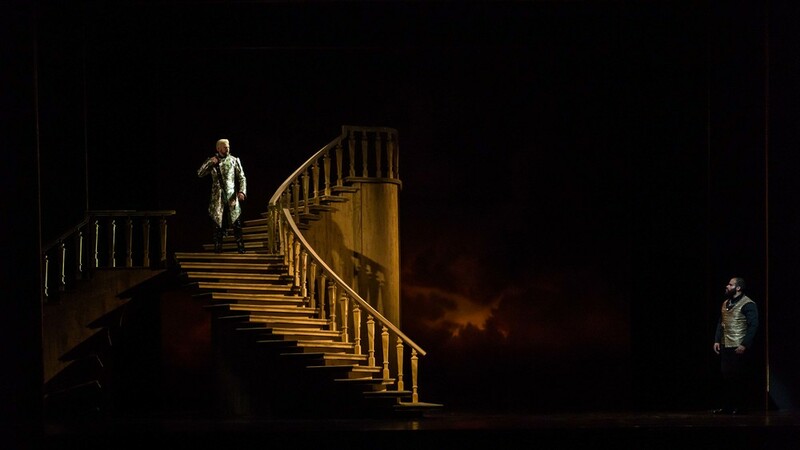 The abstract set design by Michael Schweikardt, which features a massive wooden staircase and backdrops of clouds and stars, often thrills through the connection of simple outlines and shapes, paired with movement of a turntable. 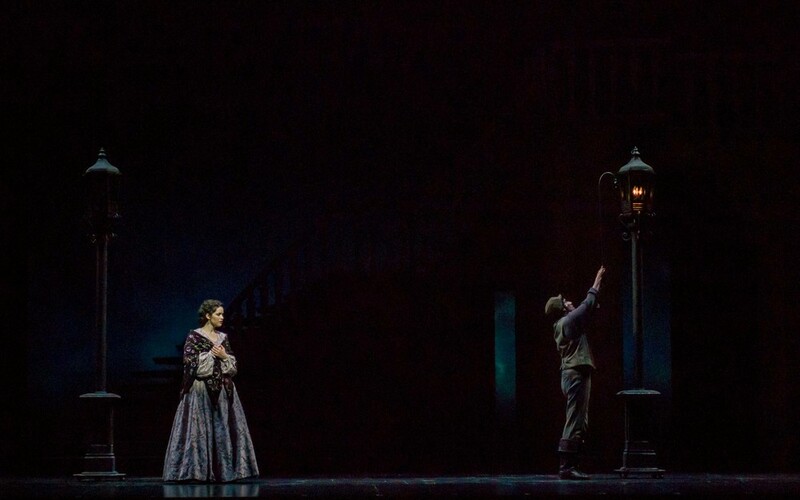 The mostly subtle lighting design by Paul Miller also sometimes stuns with bold choices. 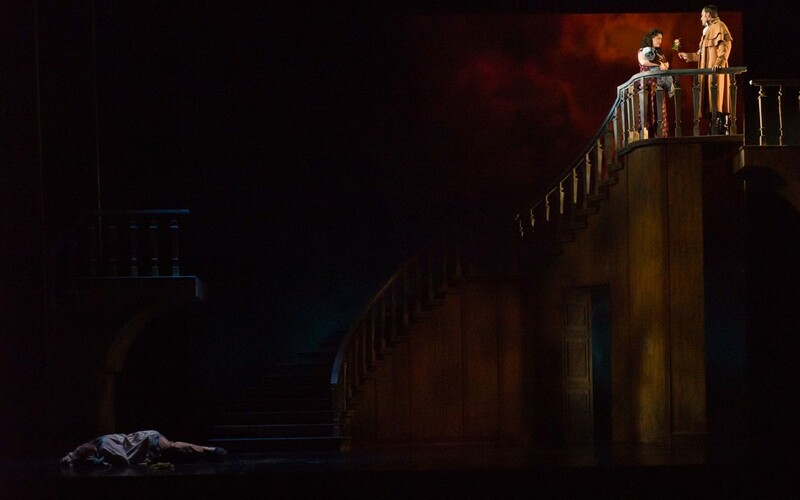 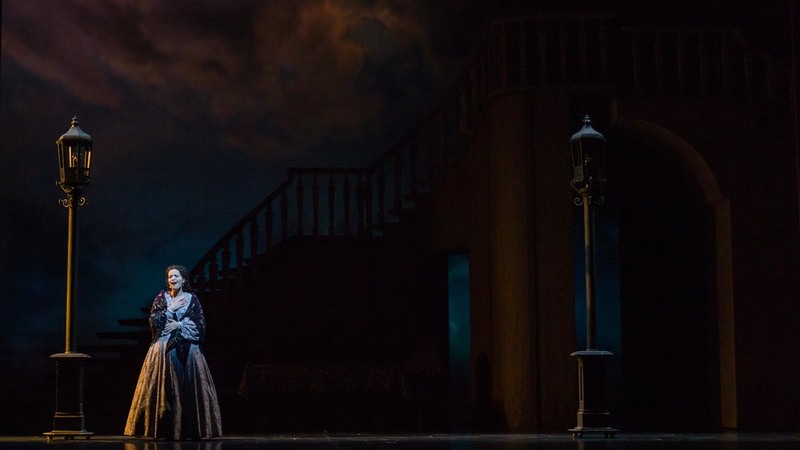 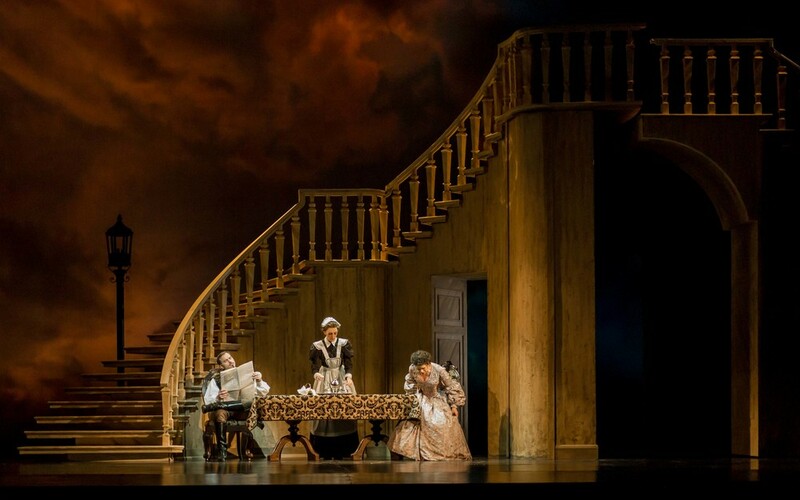 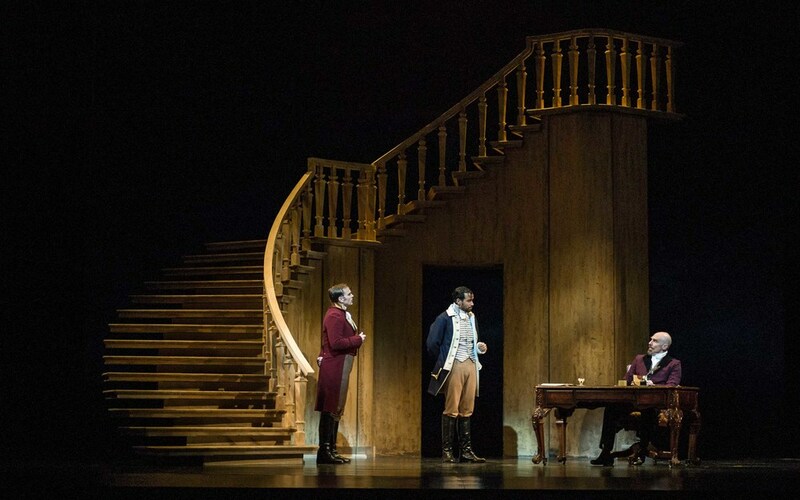 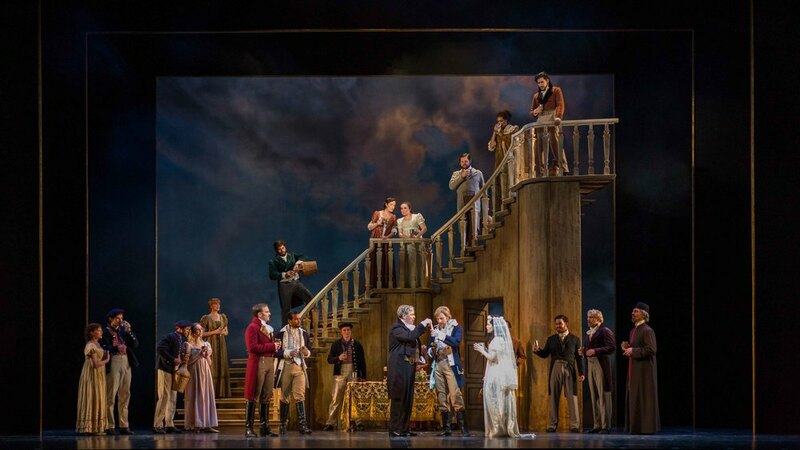 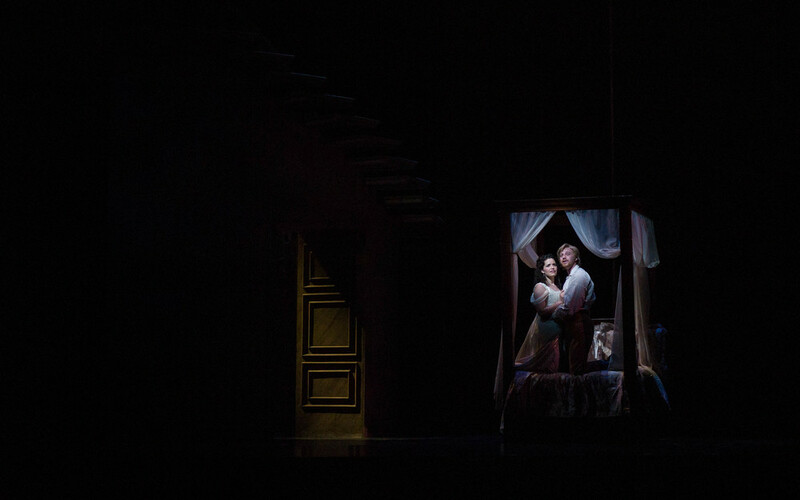 ...the manner in which the staging is married to the set levels and the accompanying lighting in many of the scenes and transitions is nothing short of genius. 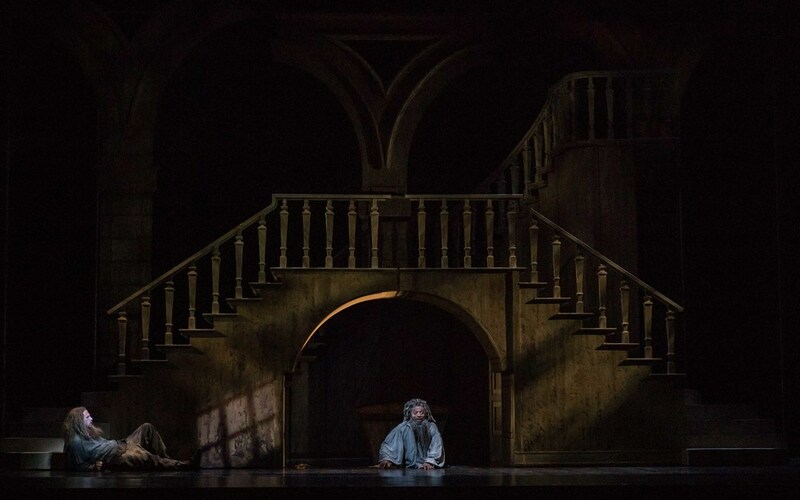 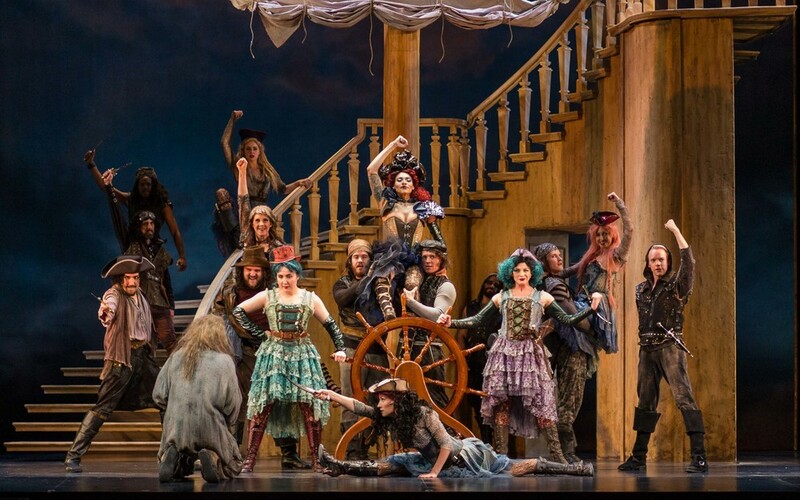 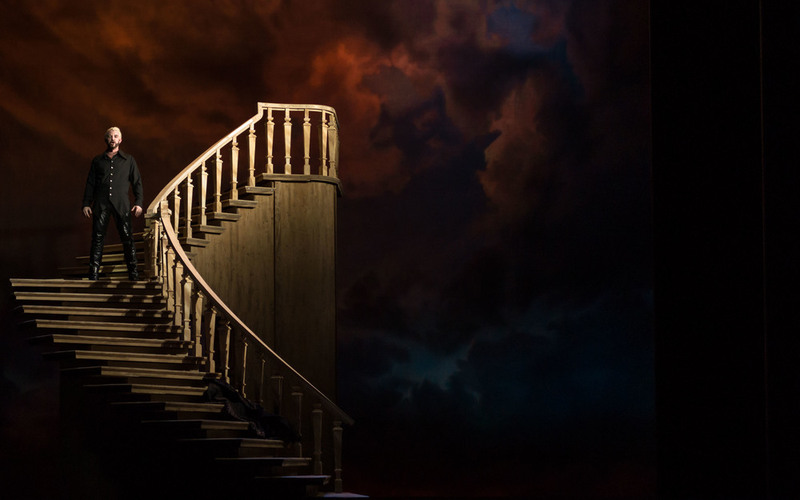 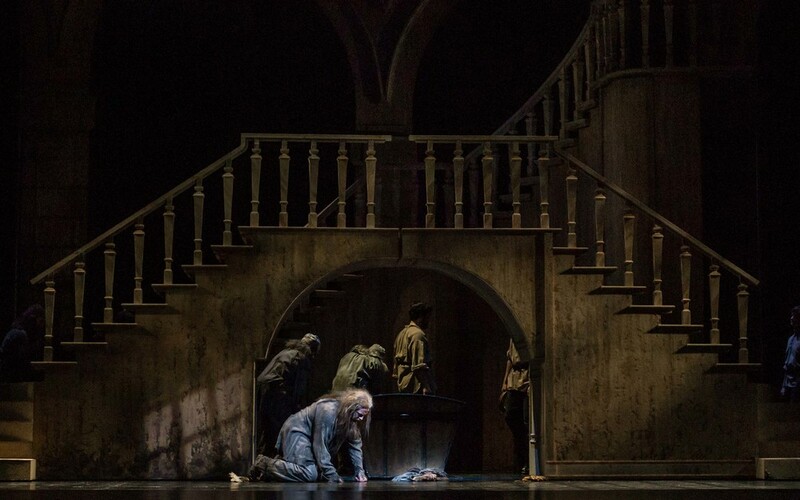 You would think that an audience would tire of watching actors repeatedly scale a tall staircase, but the levels, turntable, and carefully thought-out blocking, combined with the performances, create a perfect storm of moving stage pictures that are difficult to tear the eyes from.